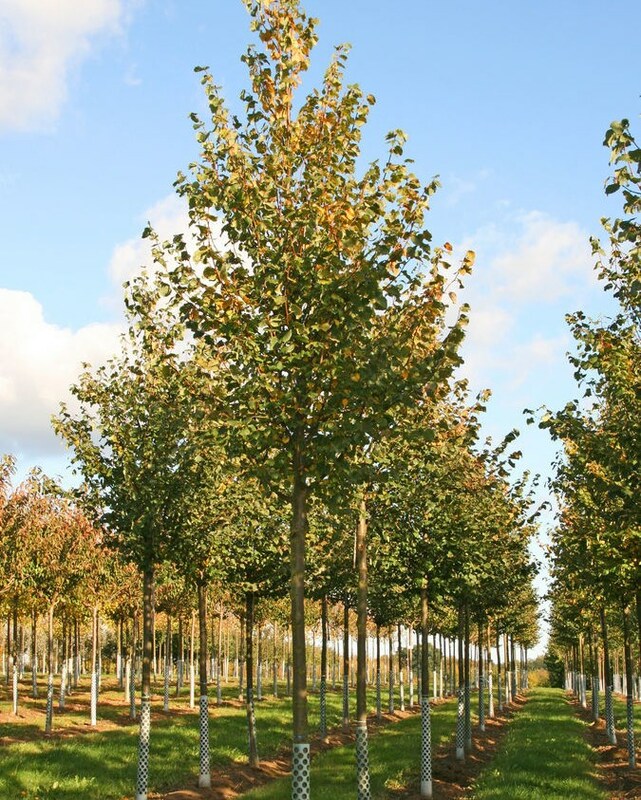 Tilia cordata Erecta is a columnar small-leafed lime tree, being overall small and more slender than the species. The trunk is dark brown and grooved, young twigs are green to reddish brown. The dark green leaves generally have a slanted, heart-shaped base and taper to an abrupt point at the top. They are bluish green underneath and turn a remarkable yellow in autumn. Fragrant white flowers appear in early summer, followed by small fruit which are grey and felt-like at first and later bare. Its narrow manner of growth makes Erecta an excellent choice for streets and avenues.